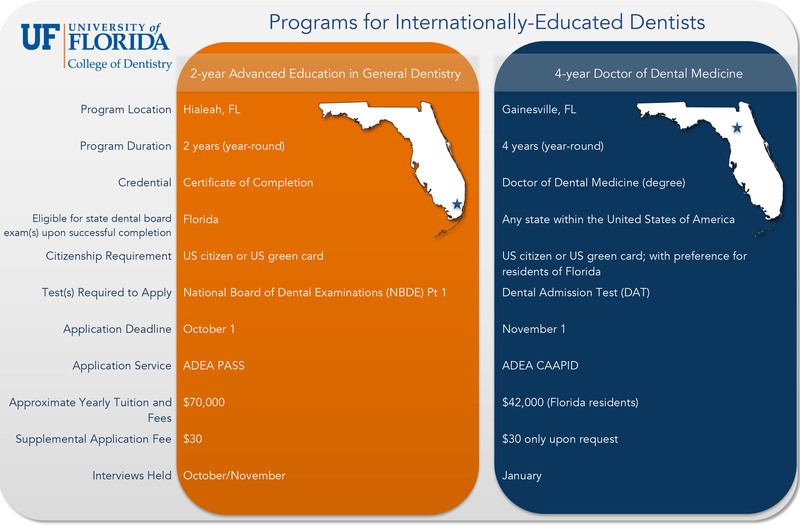 There are two UF College of Dentistry programs which, when successfully completed, afford Internationally-Educated Dentists the opportunity to apply for licensure to practice dentistry in the State of Florida. 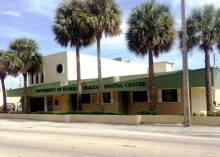 Dentists must take and pass an exam given by the Florida Department of Health, in order to be licensed to practice dentistry in Florida. You can get more information about the licensure exam at the Florida Department of Health website⤷. Click on image to enlarge and see the programs compared side-by-side.